These annual international competitions till 2014 were known under the name “Grand Prix of Donetsk” and took place in Donetsk аnd have long been the hallmark of Ukraine in the European bicycle community. In 2015 these competitions for the first time took place in Vinnytsia and received the name “Grand Prix of Vinnytsia. 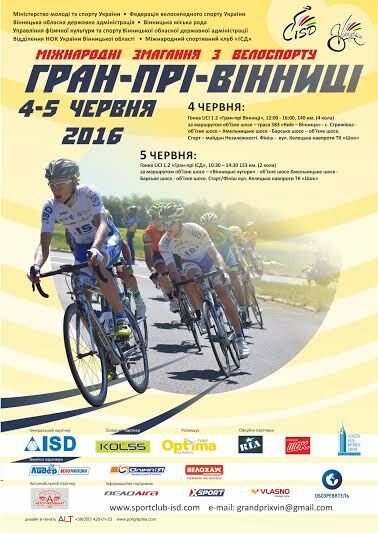 Counting the previous bicycle races held in Donetsk and Vinnytsia, these highway competitions have taken place for the ninth time already. Our congratulations to the athletes in Vinnytsia! Next Post World Blood Donor Day – RIA gives life!